I have already installed the alpha-version of your software, but the issue stays the same. I get the same error message, when I execute it via Command Prompt. Thanks for the details. Sorry, but if you are not able to connect to your MySQL Server manually, via Command Prompt, then you will not be able to connect using SQLBackupAndFTP. 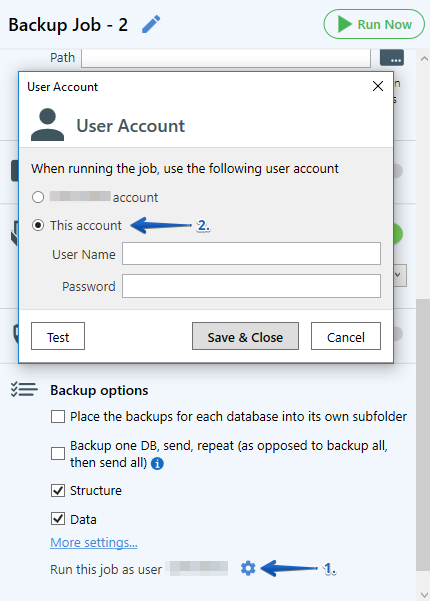 Sorry, but this issue cannot be resolved from our side, please contact your databases administrator to check this case and establish a connection to your MySQL Server manually. But i still cant connect via your software. What is the issue now? Note! With the “Trace” level, a log can contain your passwords. Before sending the log to dev team please open it using any text editor and remove the information you prefer to keep in secret. You can find them by clicking the “Open folder” link at the “Advanced Log” window (“Tools” > “Advanced Log…”). Thanks for the logs, please give us some time to check them. Thanks for the details. Could you please try to specify a user from behalf whom you can successfully run via Command Promot at the “User Account” window. 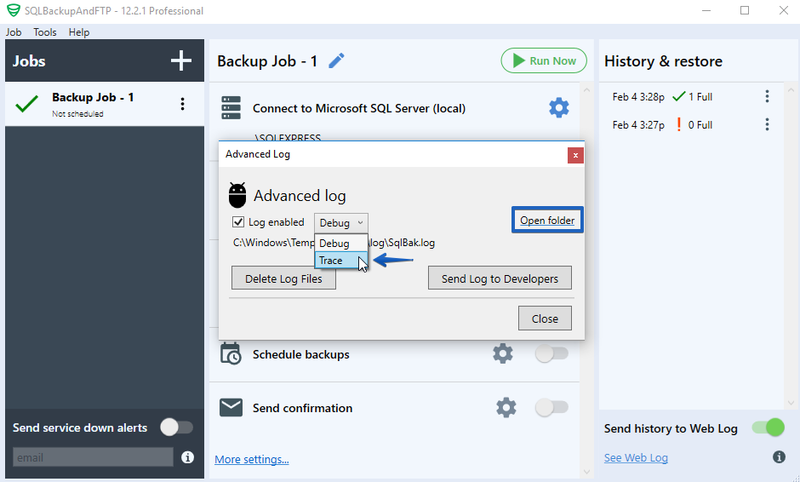 From the information we have, this is the only difference between running via Command Prompt and SQLBackupAndFTP. Tried this and got the same Error Message. Sent you a new Log file.